These are 3D printed multicolour tokens specifically for the game Keyforge by Fantasy Flight Games. They have been designed by UmmaGumma to be compatible with the new Age of Ascension Power and Stun tokens allowing you to upgrade your existing token sets. These tokens are a little thicker than our previous Keyforge tokens and have slightly rounded edges which makes them easier to pick up. The tokens will come supplied in a reusable plastic zip bag. 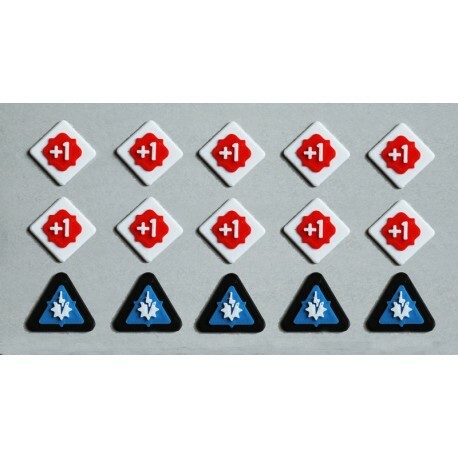 This set of tokens does not include the 3 keys or the Aember, Damage or Armour tokens. We have keys available separately or we are also selling sets of tokens complete with the 3 keys. 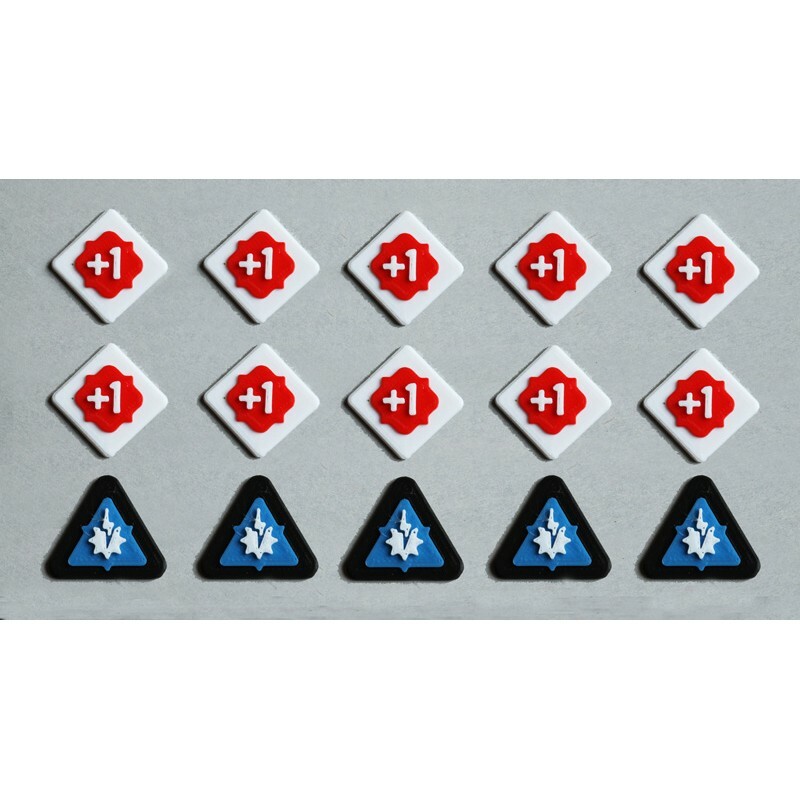 We have 2 versions of keys available - our standard set or our premium set which have been designed around the original KeyForge cardboard keys. Please see our other Items for Sale for all of the options available. If you're also looking for a great deck box for your Keyforge deck please look at our other Items For Sale. We have designed one of the best and it's available in a wide range of colours.